"The modern and charming set of salads" Inspiration "is an indispensable and necessary" tool "in every restaurant and cafe. 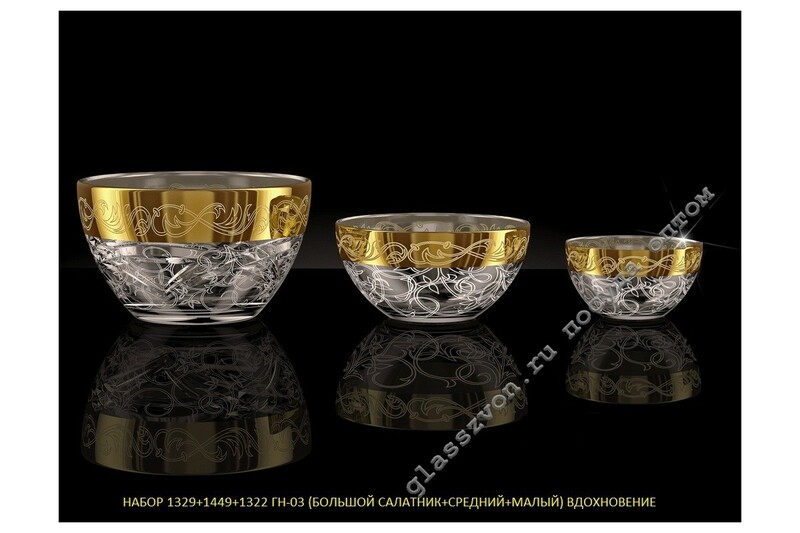 A graceful and unique drawing, put on salad bowls, will charm with the beauty of each consumer. Bright coating on the engraving gives the image a rather rich look, which, undoubtedly, raises the demand for such products. Dishes with dusting in bulk will be an excellent source of profit for you! First of all, it is achieved due to the low price, developed by our company for wholesalers. 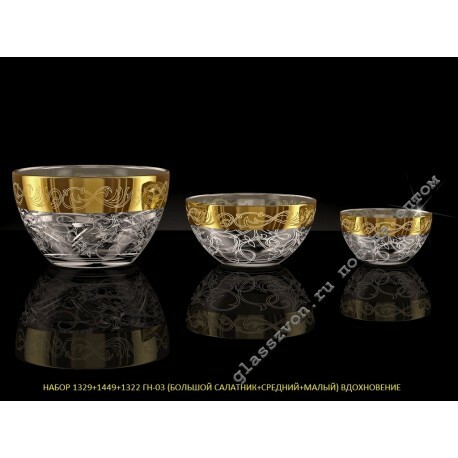 Secondly, the excellent quality of the dishes makes it very popular. Finally, wholesale sets are always easy to implement, which, of course, entails a lot of joy from each potential customer.